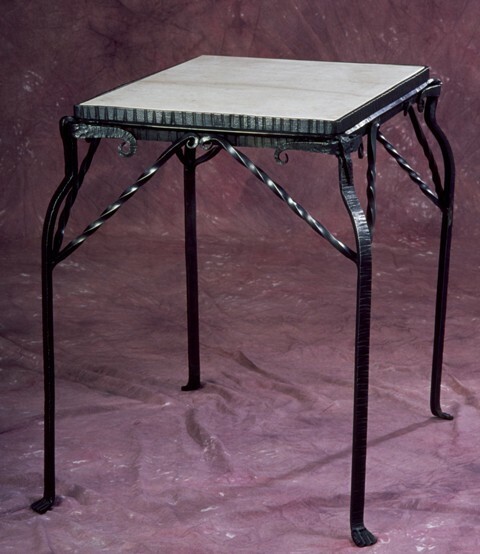 Consider French-Deco Writing Desk: Hand forged with step and wrap joinery, toppe dwith a "Beauharnais" Limestone top. Knife for an Outdoors-Woman. 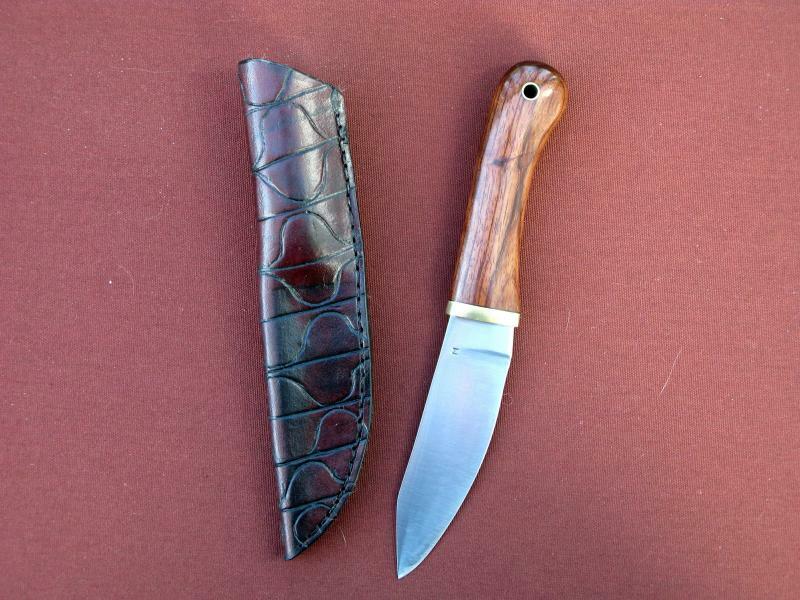 ... A 4.5" blade of O-1 tool steel ,with Bubinga wood hilt and tooled leather sheath. Do you have a desire for something truly unique? Would you like a an ultimately personal object that is one of a kind? 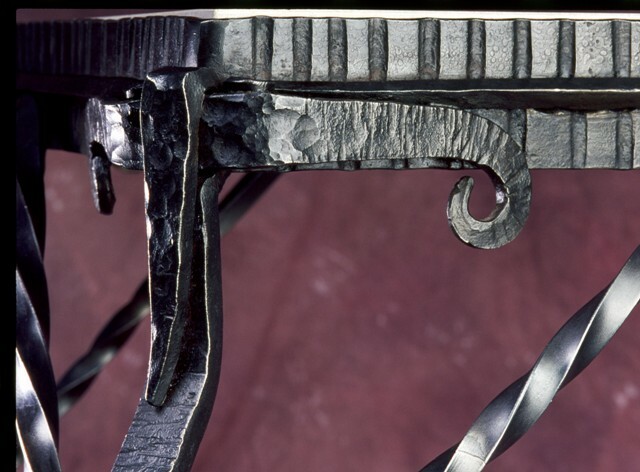 I'm confident that I can bring your vision to life....be it a piece of furniture, a knife or a sculpture....Let's talk about it. Copyright 2009 The Pilgrim Soul Forge. All rights reserved.